After a break of just over a month, Patchwork Farm moved on to Round Two. This was especially exciting as lambs from our three new rams were expected. Patchwork Nicollette was ready! 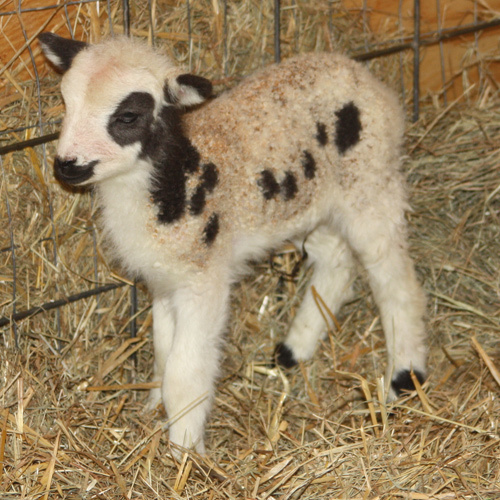 As expected, Nicollette lambed first with Moose Mtn Hawk’s first lambs for us on March 28. He dallied abit on the trip here from Colorado leaving a daughter in PA. 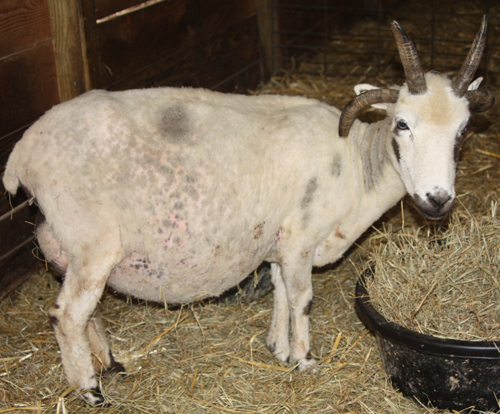 Going into Round Two with 6 ram lambs and 3 ewe lambs made Nicollette’s twin lilac ewes especially welcome. I’m using a naming theme this year based on the dam’s name. 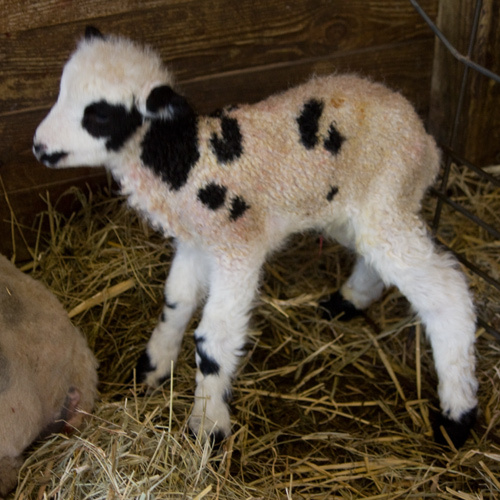 Sometimes the theme only makes sense to me 🙂 Nicollette, daughter of Macaroon (daughter of Craft’s Praline), was called Snickerdoodle as a lamb. And her new girls sure are cute cookies. Patchwork Lacey followed that night with her first set of twins, her first ewe lamb, and Unzicker Abbott’s first lambs. I think the cross worked quite well. and her smiley faced lilac twin brother, Patchwork Dresden. I was pleased to find that Abbott carries the gene for the lilac color as I’d hoped. 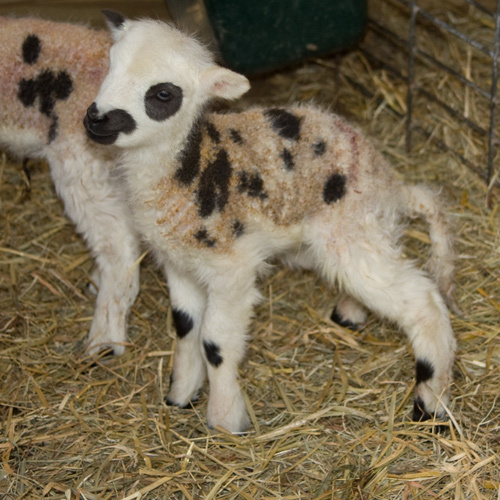 The naming theme for Lacey’s lambs is an easy one. The next day started out with another set of Abbott twins from Springrock Stacia. I couldn’t be happier with the fleeces on these two. Finding a naming theme for Stacia was rough. I found three meanings for the name “Stacia” – resurrection, to stand, and good grapes (really – I read it on the internet). Grapes it is. Finishing the day with probably the most anticipated lamb of the season was Baby Elsa (Patchwork Elsa) presenting her own baby, a lovely lilac ewe lamb by Moose Mtn. Hawk. 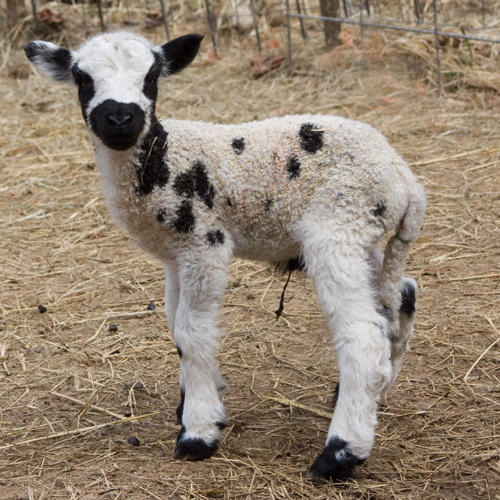 Elsa is a triplet daughter of our foundation ewe, Craft’s Ruby’s Belle x Jacquee’s Junco. 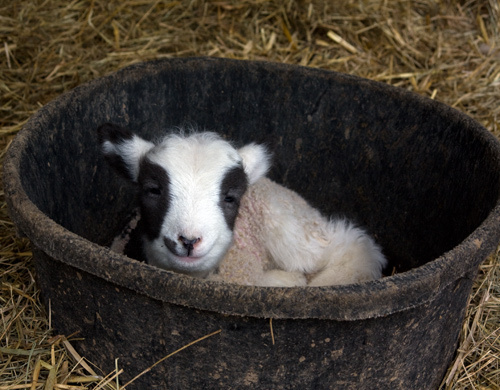 She left here in 2oo5 as a lamb and returned last fall. There is a naming theme here. It is rather convoluted. I think without a naming theme, I’d still have named her Joy. 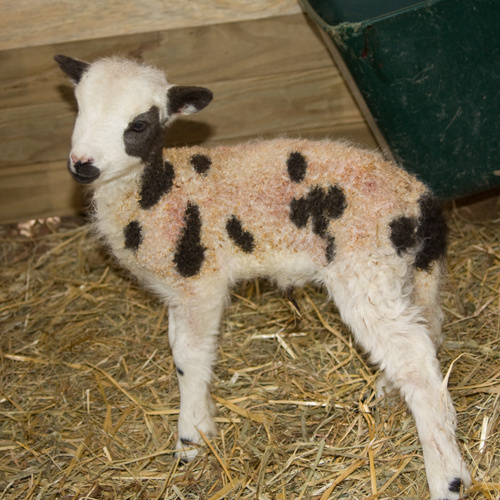 Patchwork Fortune is nearing the time to present us with our first lamb by Kenleigh’s Casanova. He dallied alot! 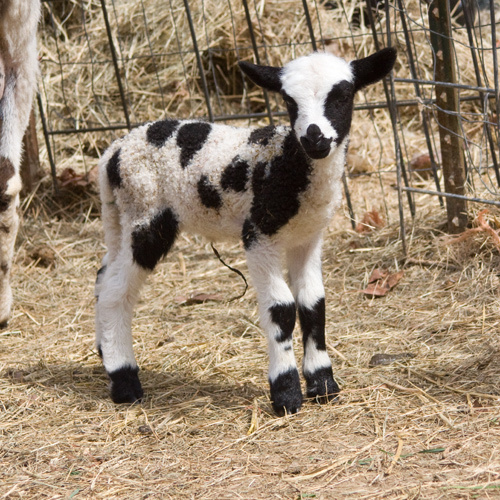 on the way here from Oregon and has lambs in PA, NY, and NC. I’m anxious to see some in GA! They are all just beautiful!� Enjoy!